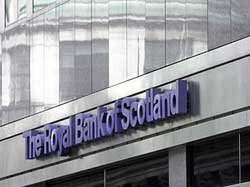 The Royal Bank of Scotland (RBS) is the latest bank to cite technology-driven changes in customer behavior as a reason to make cuts. RBS has announced the closure of 44 branches in the UK after a 30% fall in the number of transactions made in branches. An RBS spokesman said: "Banking has changed significantly over the last few years as more and more of our customers are banking with us where and when it is convenient for them. As a result, there has been a 30% drop in branch transactions since 2010. "Many branches classed as ‘Last Bank in Town’ are only open for a few hours a week and only see one or two customers per hour. We have to adapt to what our customers want, which is why we're investing in a range of other ways our customers can bank with us, including online and telephone banking, our mobile app, and in any one of the Post Office's 11,500 branches across the UK." RBS is not the first to link increased use of digital channels with operational cost cutting. In June last year Barclays Bank said it cut 1,700 frontline jobs across the UK as part of a strategy to reduce the number of branches as more and more customers use technology to do their banking.